SKU: 922 Category: 32 Degrees Packs Brands: 32 Degrees. The Freestyle Packs from 32 Degrees are designed for aggressive players who need freedom of movement as well as versatility in a pack. Each pack has velcro closure flaps to hold tubes and additional neoprene sleeves in between to hold additional tubes when needed. 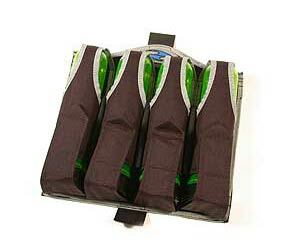 These packs are designed to fit within the small of your back to keep your target profile low. A side benefit of this design is that as opposed to other bulky or combersome packs this one feels as if it is a part of you. It doesn’t get in your way or restrict your range of motion. – The belts used sold seperatly – so that you can find a size that is – a perfect match for you.